Guiding from uncertain and overwhelmed to informed, relieved and assured of the finest care for the ones you love. As a Geriatric and Disability Care Manager in private practice, Leslie serves her clients, their families and their health care team with a balance of unique skills, extensive education & experience along with genuine compassion. Her perspective and approach are unique because she is a Gerontologist, Health Care Administrator, Medical Social Worker, Patient Advocate and Discharge Coordinator/ Transition of Care Navigator with 20+ years of experience in the health care field. 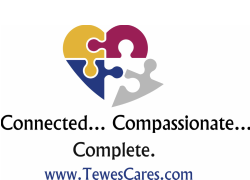 I have known Leslie for many years as she has worked within the continuum of care and has developed positive relationships with providers and families alike. As a Geriatric Care Manager, she has proven to be a strong advocate for older adults. Her background in Social Work and experience as a licensed nursing home administrator enables her to bring a unique perspective to her clients. It has been my pleasure to work with Leslie professionally. - Susan A. Yubas, CSA, FYI Senior Living Solutions.